As the USA U20s look to confirm their place at next year’s World Cup with a win over Costa Rica on Friday, a strong Bundesliga influence is being felt with Chris Richards, Alex Mendez, Chris Gloster, Sebastian Soto and Brady Scott all part of a squad rich in Germany-based talent. 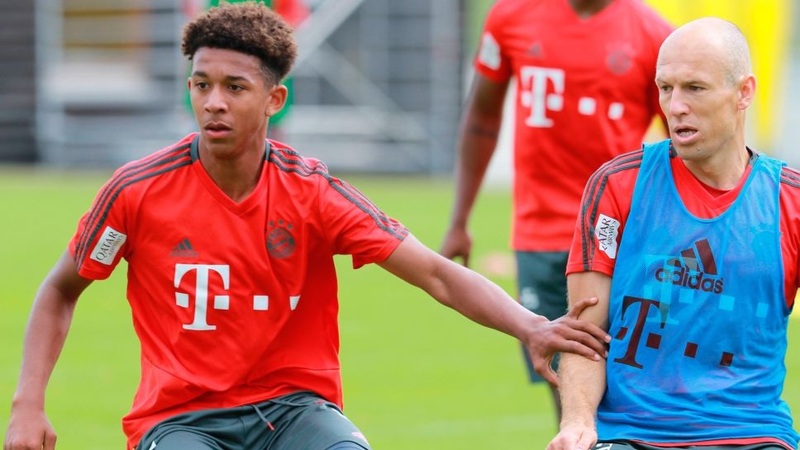 18year old Centre-back Chris Richards from Bayern Munich, after spending 10 days on trial at Bayern in May, FC Dallas defender Richards joined the record champions on loan until the end of the current calendar year. He impressed during Bayern’s summer tour of his home country and has continued to do so this season for Bayern’s U19s, scoring twice in 12 appearances. Having been called up to the US U20 team for the knockout rounds of the CONCACAF Championship, Richards will be expected to slot in seamlessly in games against Costa Rica and Honduras. The current star of the US team at the CONCACAF Championship, Mendez is set to take his talents to the Black Forest in January 2019, having recently signed pro terms with Freiburg. Los Angeles-born Mendez has been operating as a No. 10 or No. 8 for the US U20 side, the creative link between defence and attack, scoring five goals and providing three assists in four appearances. That Mendez has chosen the Bundesliga as the next stage for his development is testament to Freiburg and the league as a whole. Gloster is another of the U20 talents to have already made the switch to the Bundesliga. 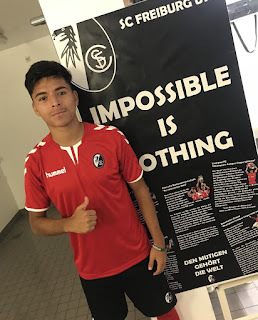 The 18-year-old left-back joined Hannover from the New York Red Bulls this summer, and has already progressed from the Hannover U19 team to the Hannover reserves in his short time on German soil. Starting and finishing all but one of the USA's U20 CONCACAF Championship games to date, Gloster is proving himself to be an integral part of Tab Ramos' side. Like Gloster, Soto has made an immediate impact since joining Hannover last summer. The 18-year-old striker has scored nine goals and provided four assists in just 11 appearances for the U19s, earning a call-up to the USA U20s CONCACAF Championship squad for the knockout rounds. Given his scintillating form in Germany, it shouldn’t be long before he joins Gloster in Hannover’s second team. Scott has been in Germany the longest of the five Germany-based players in the U20 team. He joined Cologne in July 2017, and has been playing consistently with the Cologne second team this term. He has kept two clean sheets in his 14 appearances with the Bundesliga 2 side, and is also benefiting from training with the first team alongside the club’s highly rated No.1, Timo Horn. Starting four of the US U20 team’s five games at the CONCACAF Championship so far, Scott's progression in Germany has helped cement his place as Ramos' first choice between the posts.